The Everett Silvertips appear poised to introduce Dennis Williams as their new head coach. He would replace Kevin Constantine, who was told on April 18 that his contract wouldn’t be renewed. 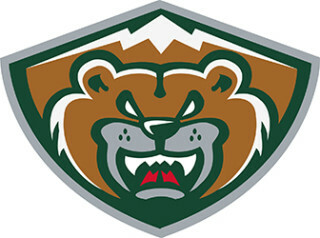 Constantine, in his second go-round with the Silvertips, had been their head coach through four seasons. One source told Taking Note on Thursday that he has heard from “a few different people that Everett has a done deal” with Williams. This was the second time in two days that Taking Note has received the same information from different sources. Williams, 37, is a native of Stratford, Ont., He has spent three seasons as the general manager of hockey operations and head coach of the USHL’s Bloomington, Ill., Thunder. One source told Taking Note that Williams has two years left on his contract with Bloomington. Before working with the Thunder, Williams was the director of hockey operations and head coach with the NAHL’s Amarillo, Texas, Bulls. The Silvertips, Thunder and Bulls are owned by CSH International, Inc., the sports property division of The Monarch Corporation, a private investment company that is headquartered in Medicine Hat and is headed up by Bill Yuill, its chairman. The WHL’s championship final for the Ed Chynoweth Cup resumes tonight (Friday) in Kent, Wash., with the Regina Pats and Seattle Thunderbirds each having won twice. The Thunderbirds posted the most convincing victory over the series on Wednesday when they skated to a 6-1 victory. The Pats, of course, have been without F Adam Brooks since he suffered a suspected concussion when he was hit by Seattle D Turner Ottenbreit during Game 1. Brooks, who won last season's WHL scoring title, put up 250 points between last season and this one. After Game 5, the teams will return to Regina for Game 6, which is scheduled for Sunday, and Game 7, if necessary, on Monday. season. Ted Clarke of the Prince George Citizen reports that McBride informed the Cougars of his decision “about a month ago.” . . . This season, McBride played in 22 games, going 14-5-1, 3.05, .903, as he backed up Ty Edmonds, 20, who made 53 appearances. . . . A native of Maple Ridge, B.C., McBride started his WHL career with the Prince Albert Raiders. 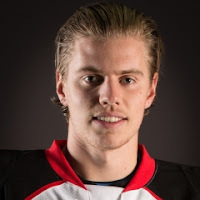 He played two seasons there, before being dealt to the Cougars. . . . McBride, a former WHL scholastic player of the year, is expected to attend school rather than return to the Cougars. . . . Tavin Grant, 19, would appear to be No. 1 on the Cougars’ depth chart now. He played this season with the BCHL’s Prince George Spruce Kings. Also on the depth chart is G Taylor Gauthier, the ninth overall selection in the WHL’s 2016 bantam draft. Gauthier, 16, played this season with the midget AAA Calgary Buffaloes. . . . According to Clarke, the Cougars also will bring in Ty Taylor, who turns 18 on July 5. He played this season with the BCHL’s Vernon Vipers. . . . McBride is the second goaltender to leave the WHL for school in recent days, rather than return for his 20-year-old season. Zach Sawchenko won’t be back with the Moose Jaw Warriors, choosing instead to attend the U of Alberta and play for the Golden Bears. . . . Clarke’s story is right here. D Dallas Valentine, who played out his junior eligibility with the Kamloops Blazers this season, has decided to attend the U of Lethbridge and play for the Pronghorns. Valentine, who is from Red Deer, played four seasons in the WHL. Six games into his third season, the Moose Jaw Warriors traded him to the Blazers. . . . In 260 regular-season games, the 6-foot-4, 205-pounder had 10 goals and 55 assists. Aaron Keller, who has played and coach in Japan since 1997, announced his retirement via Facebook on Thursday. Keller, 42, is a native of Kamloops. A defenceman, he played four seasons (1992-96) with the Kamloops Blazers and was part of two Memorial Cup-championship teams (1994 and 1995). . . . Keller played one season of pro in North America, before joining the Snow Brand Sapporo in Japan for the 1997-98 season. Since 2002-03, he has been part of the Oji Eagles’ organization. He also represented Japan in various international competitions. Keller last played in 2013-14. This season, he was the Eagles’ head coach. The Red Deer Rebels have brought back a familiar face as their athletic therapist. The team announced that Josh Guenther has left the team, “due to personal reasons,” after one season, and that it has hired Terence Robertson as athletic therapist. . . . Robertson was the team’s athletic therapist from 2004-13. Since 2013, he was with Collegiate Athletic & Sports Medicine in Red Deer. The Tri-City Americans have signed F Kaden Kohle to a WHL contract. The Americans selected Kohle, who is from Humboldt, Sask., in the first round — 12th overall — of the 2017 WHL bantam draft. This season, Kohle, 6-foot-2 and 170 pounds. had 66 points, including 38 goals, in 29 games with the bantam AA Humboldt Broncos. In 2015-16, he had 12 goals and 14 assists in 26 games with the Broncos.